Wayne State University Law School, J.D. 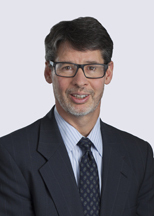 Jeffrey Woolstrum is an environmental attorney who has been counseling clients in complex environmental legal issues since joining the firm's Environmental Law Department in 1991. He advises clients in matters involving environmental licensing and permitting, corporate acquisitions and mergers, real estate and commercial transactions, regulatory compliance, administrative and judicial proceedings, wetlands, and civil and criminal enforcement. Jeffrey has significant experience in the areas of hazardous waste and solid waste regulation. He is an active member of the Michigan Waste Industries Association (MWIA), a trade group that represents Michigan waste services companies. Honigman leads Michigan law firms with most Super Lawyers and "Rising Stars"